Aubrey Grant lives in the tropical paradise of Old Town, Key West, has a cute cottage, a sweet moped, and a great job managing the historical property of a former sea captain. With his soon-to-be-boyfriend, hotshot FBI agent Jun Tanaka, visiting for a little R&R, not even Aubrey’s narcolepsy can put a damper on their vacation plans. But a skeleton in a closet of the Smith Family Historical Home throws a wrench into the works. Despite Aubrey and Jun’s attempts to enjoy some time together, the skeleton’s identity drags them into a mystery with origins over a century in the past. They uncover a tale of long-lost treasure, the pirate king it belonged to, and a modern-day murderer who will stop at nothing to find the hidden riches. If a killer on the loose isn’t enough to keep Aubrey out of the mess, it seems even the restless spirit of Captain Smith is warning him away. The unlikely partnership of a special agent and historian may be exactly what it takes to crack this mystery wide-open and finally put an old Key West tragedy to rest. But while Aubrey tracks down the X that marks the spot, one wrong move could be his last. This isn't my first dance with this author but it definitely feels like a different song that we're dancing to. 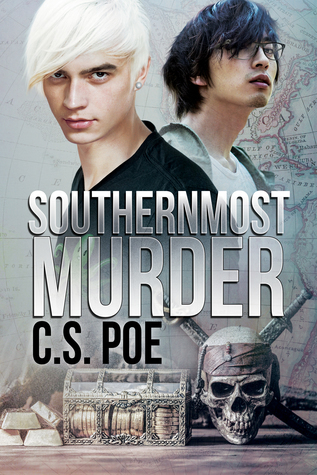 'Southernmost Murder' has a very light and casual undertone to it. I loved these two characters. Aubrey and Jun are in many ways polar opposites and yet they fit together perfectly. Aubrey is a short, feisty little spitfire who use to date Jun's former F.B.I. partner Matt and Jun's been in love with Aubrey for a long time now but he's doesn't poach which firmly placed them both in the category of friend. Needless to say when things end with Matt in an effort to escape his heartache and start over Aubrey moves on to Key West and Jun figures his love is unrequited until fate brings them back together via the internet. Finally after months of texting and Skyping Jun's taking a vacation and he's going to visit Aubrey in Key West. I have to admit I'm not sure how I feel about the beginnings of this relationship because Aubrey and Jun have known each other for years as friends, so even though we're technically not coming into the middle of an established relationship at times it felt like it. But I also really enjoyed the way Jun and Aubrey seemed so comfortable with each other...like old friends, which they are. As the manager of a local historical site that belonged to a former sea captain, Aubrey's feeling settled and happy with his life in Key West and it's the perfect place to start a romance with possibly the perfect man...at least he seems perfect for Aubrey. Jun knows about Aubrey's narcolepsy and it's definitely not a problem in his eyes. He's wanted Aubrey since the day they met so for Jun having a chance to see if things between them can be as good as he thinks it can is like a dream come true. Needless to say neither man has factored in a mysterious skeleton, missing treasure, dead bodies and mysterious phone calls warning Aubrey that 'he's next'. The sense of balance between mystery and relationship development worked well for this story and things just flowed together without any abrupt transitions to distract from any aspect of the story. While there is a connection between this story and the authors 'Snow & Winter' series this book can easily be read without benefit of having read her 'Snow & Winter' series. Aubrey and Sebastian Snow are friends and while I've read that series I can easily see reading this book and enjoying it as much as I did without having read 'Snow & Winter'. somebody decided they heard something different than what was in fact said. The banter between Jun and Aubrey reads like talk between two friends and given that they've known each other for years as friends it works and adds credence to their previously established friendship. While I would have liked a little more of Aubrey and Jun when they first met as friends and then when they got together again after Aubrey and Matt ended things and began to reconnect with each other. I don't think it's something that I would have wanted as a book maybe just a short story or a bit of a prequel in this book even, but by the end of the book I was definitely starting to get a feel for them as a couple and I'm looking forward to seeing what's ahead for Aubrey and Jun as a couple and what's going to fall out the closet on them next. 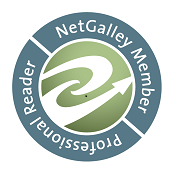 An ARC of 'Southernmost Murder' was graciously provided by the publisher in exchange for an honest review.